Dr. Feng Shi Lun covers asthma and the common cold using Shang Han Lun 6 channel theory along with case studies to back up treatment strategies. The course was produced by Sharon Weizenbaum's White Pine Institute and interpretation is by Greta Young. Pro D Seminars is distributing Dr. Feng Shi-Lun's online course produced by White Pine Institute in co-operation with Dr.Feng Shi-Lun. Dr. Feng Shi-lun, is professor, chief physician, and honorary President of the Beijing Traditional Chinese Medicine of Zhang Zhongjing Teachings Association. 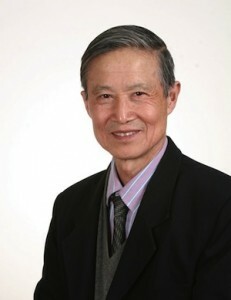 Besides teaching in Beijing, Dr. Feng is also a visiting professor and a senior academic and medical advisor for many Chinese Medicine University and hospitals in China and abroad, such as the CM classics department for the Guangzhou University of TCM, the Wenzhou Integrated Chinese and Western Medicine Hospital and many more. Dr. Feng is actively practice in clinic in various hospitals around Beijing including the Sino-Japanese Friendship Hospital Dr. Feng is also very active in promoting the Jing Fang Medical Approach to the world by first organizing and publishing all of the late Professor Hu Xi-shu’s clinical notes and experience and also by founding the Hu Xi-shu Research Association of Classical Medicine which regularly organizes educative webinars and online courses as well as yearly conferences bringing Jing Fang experts and practitioners together every year. Dr. Feng graduated from the Beijing university of Chinese medicine, and taught at the Dong Zhi Men Hospital. Dr. Feng is also a post doctorate tutor at the Beijing University of Chinese Medicine in the goal to advance the knowledge and understanding of Jing Fang Medical system. All of Dr. Feng’s energy has been devoted to the deepening the understanding of the classics. He not only teaches all over China, Dr. Feng has been invited all over the world to teach the full classical system of the Six Syndromes of the Shang Han Za Bing Lun. Besides being involved in teaching, Dr. Feng has published over 10 different books and multiple articles all advocating the understanding of the Jing Fang Medical System. The most popular books are “Transmitting The Knowledge of Jing Fang”, “Understanding The teachings of Zhang Zhong Jing: The Six Syndromes of Classical Medicine”, “Classical Medicine System: Understanding the Six Syndrome and Shang Han Lun” and “In Memory of Professor Hu Xi-shu’s Dedication to Jing Fang”. Professor Hu commonly known motto is “Six Syndromes Stem from the Eight Guiding Principles”. Dr. Feng has deepen the level of understanding of Jing Fang by demonstrating in more details of the half exterior-half interior syndromes are an important and very common syndrome in clinic. Dr. Feng tirelessly teaches and publishes on the great differences between the Shang Han Lun classical system and the modern TCM system. He clearly advocates how the two systems are fundamentally different and how there is absolutely no way to combine them in clinic. In the 1970’s, Dr. Feng engaged in a clinical study of using the Jing Fang Medical System and formula to treat bronchitis and won the national grand awards of science and technology. In the 90’s, he also engaged in a clinical trials of applying the Jing Fang Medical System to treat Rheumatoid Athritis (RA) and won the science and technology prize by the ministry of health. In recent years, Dr. Feng is regularly invited to the United States, Japan, Russia, Australia, Taiwan, Hong Kong, and Canada to bring this knowledge to the western practitioners of Chinese medicine. He has been involved in online webinar teachings and advanced clinical forums for over 6 years being broadcasted in China and all over the world. Dr. Feng is clearly a leader in Jing Fang Medical Approach and he is a leader of keeping the classical thinking and practice alive!